Are we excited about this feature above all else in SharePoint 2016? Are we just itching for a chance to talk about it? Yes, as you might expect, we are. By now, with the big announcement on May 4th, you’ve probably already read a fair bit about the latest release of Microsoft’s flagship collaboration platform. There has been a lot of talk about it; plenty of pre-release hype, a couple of Beta versions, and a Release Candidate, made available at the beginning of the year, have seen significant download numbers. In fact, we've written about it quite a bit ourselves. The latest iteration of the platform has received a lot of feedback from users, and Microsoft has used this information to make tweaks they're certain will appeal to the SharePoint veteran, as well as those coming to the platform for the first time. 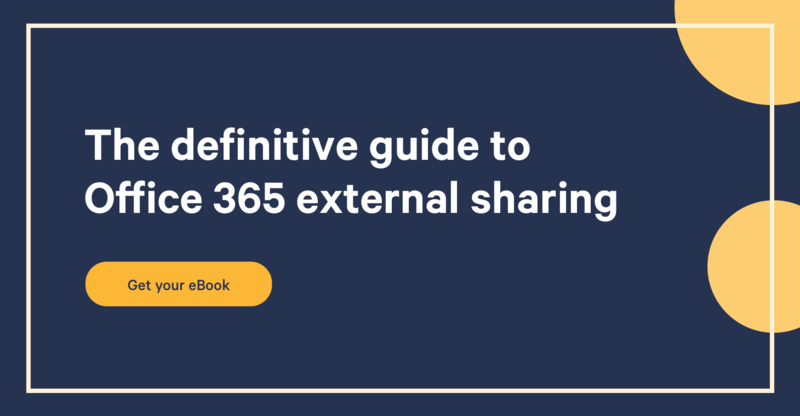 The big thing about the full release is the leveraging of the power of the Cloud and Office 365, and what that means for your SharePoint environment – whether that’s SharePoint On-Premises, SharePoint Online, or Hybrid. There are plenty of features to choose from that we could talk about in depth; the App Launcher and UI improvements that'll make navigating either SharePoint 2016 or Office 365 more straightforward. Both platforms have very similar UIs – a matched experience is a better one. There’s also zero downtime patching, the removal of the 5,000 view threshold, increased file size for uploads, and faster site creation, among many other new features. Our priority today, however, is to focus on one of the leading features of SharePoint 2016: The Hybrid Search capability. What we're talking about here is the all new Cloud Search Service Application that's available for both SharePoint 2016 (natively) and SharePoint 2013 (via an update). This is a move by Microsoft to greatly improve the current SharePoint hybrid search experience. They have, perhaps, accepted that hybrid is a popular method for a lot of organizations, and that it's likely to continue to be used as a convenient mid-point between moving from On-Premises to the Cloud. It’s worth noting here that the Hybrid version is attracting a lot of interest for its basic premise: being able to use the lightweight infrastructure of SharePoint Online in Office 365, while keeping some sites (i.e. content) On-Premises. It’s a sort of ‘best of both worlds’ scenario that's preferable for companies who don’t wish to migrate fully to the Cloud just yet or, for compliance and security reasons, are apprehensive about storing their content off-premises. So, if it’s what the people want, then why not make it the best that it can be, right? With SharePoint 2016, that seems to be exactly what Microsoft is trying to do. A unified search experience between On-Premises SharePoint content and content in the Cloud with Office 365 means you see results from both with the same query. This is an update that we’ve been waiting for. To be able to search across all content easily, without the need to access separate search engines, is probably the most functional and most important Hybrid update we’ve seen thus far. Before the existence of the Cloud Search Service Application there was a more simplistic hybrid search. Based on query federation, a single query would be made to each search index (i.e. content in the cloud and content on-premises), and between these two indexes it made it impossible to rank the results in a combined way, and therefore there was a lack of refinement to the search outcomes. Now, instead of using query federation, your On-Premises content is indexed in Office 365. With this update, you now can get a unified index, with consolidated relevance, with a single index to maintain. Your search index is stored and maintained by Microsoft in the Cloud, and that goes for content that was indexed in either the Cloud or On-Premises previously, too. We have, thus far, only mentioned SharePoint 2016 and 2013, but the Cloud Search Service Application crawls SharePoint content from 2007, 2010, 2013, and 2016 iterations – bringing in consolidated search results from across all current and previous versions of the platform, which is relevant if you are a large company where multiple older SharePoint farms are still being used. Additionally, users are able to search content from file shares and Business Connectivity Services sources, and all this content can be included in Delve. This certainly takes the pressure off your organization having to update your SharePoint systems to be consistent with one updated version across the business. This should ultimately be your goal, but now that some of the most important features native to SharePoint 2016 will be available for the 2013 version through updates and feature packs, some of this pressure is relieved. The Cloud Search Service Application will enable accurate searches for content from even older iterations of SharePoint, meaning you can take your time getting up to date without experiencing any unnecessary downtime or barriers to effective collaboration. This is, from what we have seen so far, one of the big reasons companies decide to implement a hybrid SharePoint in the first place, and we only see it becoming an even more popular option with the release of SharePoint 2016.